Please join us for conversation facilitated by Duke Professor Jules Odendahl-James between Deborah Zoe Laufer, award-winning playwright and Health Humanities artist-in-residence, and Duke Professor Charmaine Royal. They will discuss genetics in the public imaginary. The discussion will be introduced by Professor Karrie Stewart. Laufer, supported by the Franklin Humanities Institute Health Humanities Lab, will be on campus as an artist in residence from December 5-8, 2017. She will be leading a course enhancement that requires all students in Professor Stewart's Global Health 341 (Ethics of Infectious Disease Control) to participate in a public reading of the award-winning play Informed Consent in the Sheafer Theater on Thursday, December 7, at 7 pm. The reading is free and open to the public. 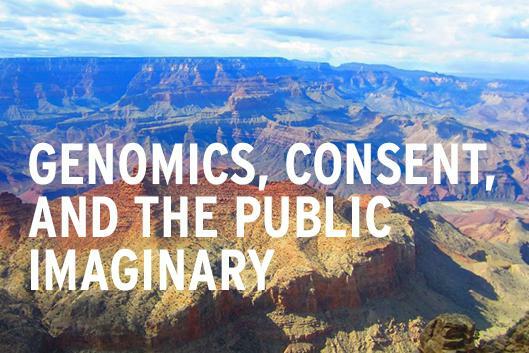 Informed Consent is based on the true story of research misconduct by Arizona State University researchers working between 1989 and 2003 with the Havasupai, a Native American tribe who have lived in the bottom of the Grand Canyon for centuries. Co-sponsored by the Forum for Scholars and Publics and the Health Humanities Lab at the Franklin Humanities Center.